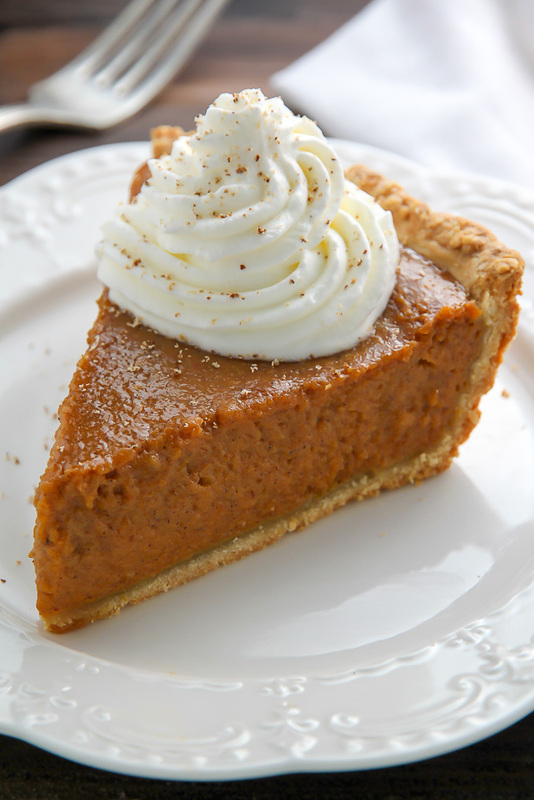 This pumpkin pie recipe is easy-as-can-be. Making the filling is so simple and straightforward – and you can even make it the night before! To make the filling you’ll need pumpkin puree (not pumpkin pie filling), sweetened condensed milk, eggs, brown sugar, vanilla, and a slew of spices. Our spices are ground cinnamon, ginger, nutmeg, cardamom, cloves, and black pepper. These spices are what gives this pie its fabulous chai flavor.